A pancake fair in Donetsk, Ukraine, used the last two days of the Pancake week, an Eastern Slavic folk holiday, to encourage local creativity and teach sustainability as a way of thinking. The organisers of the Pancake Fair, IZOLYATSIA Platform for Cultural Initiatives, had invited about 60 local artisans and designers to communicate with each other and with the local community, to show their products, techniques and hold free workshops for citizens. It became an event which attracted the record number of guests per day — more than 1,500 visitors in three hours. IZOLYATSIA allegedly received “an ocean of positive responses” on social media after the event, which has inspired the team of organisers to continue this way of giving arts and culture an active role in changes for sustainable societies. IZOLYATSIA stands for “preservation, cultural replenishment and regeneration”. 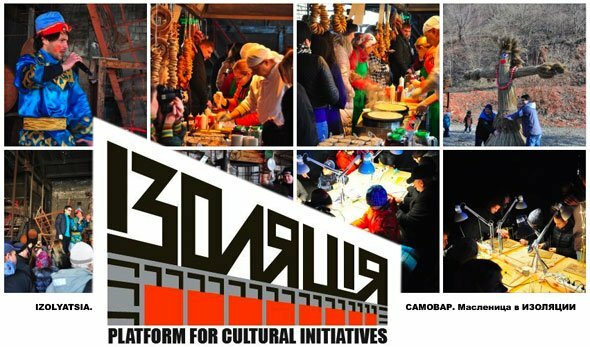 It is a non-governmental arts foundation located on the territory of a former insulation materials plant in Donetsk, Ukraine. ‘IZOLYATISA’ is the name inherited from the factory. On November 16, Andrew Taylor, the Artful Manager, moderated a panel discussion at Columbia University in New York City on the Low-Profit Limited Liability Company (L3C), and its potential for the arts. The panelists included two of the leading national experts on the business entity (Marc J. Lane and Rick Zwetch), alongside two masters from the theater world (Gregory Moser, Victoria Bailey), and one change agent from the arts business infrastructure (Adam Huttler). Andrew Taylor is a faculty member of American University’s Arts Management Program in Washington, DC. An author, lecturer, researcher, and consultant on a broad range of arts management issues, Andrew specializes in business model development for cultural initiatives and the impact of communications technology on the arts. A low-profit limited liability company (L3C) is a legal form of business entity in the United States that was created to bridge the gap between non-profit and for-profit investing by providing a structure that facilitates investments in socially beneficial, for-profit ventures while simplifying compliance with Internal Revenue Service rules for program-related investments, a type of investment that private foundations are allowed to make. The video might require a little of your time, but is worth it if you have an interest in emerging models for production in the United States. Tipping Point have announced their next gathering and have an open application procedure for some places for artists and academics. 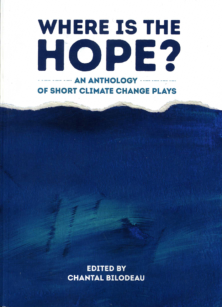 “TippingPoint, in partnership with Newcastle Institute for Research on Sustainability (NIReS), will be holding a major national gathering of those concerned with the interface between the arts and culture on one hand, and environmental issues, particularly climate change, on the other. EcoArt on the West Palm Beach waterfront. Michael Springer served as the primary designer of this project, completed in 2010. This work is a significant example of the cross disciplinary work of a sculptor who has been doing large scale infrastructure related environmentally sensitive art for decades. 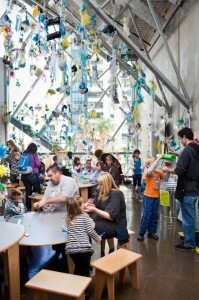 DCA: Tell us about EcoArt South Florida. EcoArt South Florida: EcoArt South Florida encourages broad support for environmental stewardship within communities by involving citizens of all ages and demonstrating innovative and aesthetically striking ways to create and save energy, reduce heat island effect, capture and reuse stormwater and many other positive approaches to enhancing the health of our interrelated ecosystems. EcoArt (short for ecological art) is not a new art practice. It is only new here in Florida! DCA: How does EcoArt encourage the public, and in particular, elected officials, to incorporate arts and culture into everyday life? EcoArt South Florida: EcoArt South Florida intends to assist targeted communities to establish “EcoArt Nodes” in each of South Florida’s five watersheds by 2015. We define an EcoArt Node as a committed group of stakeholders, with a strong organization at its center (either as its own nonprofit, or as a subunit of an existing organization) dedicated to growing EcoArt and supporting emerging EcoArtists in their locale. An important stakeholder group that must always be included as each EcoArt Node is established, are elected and career officials of municipal and county governments. The locations for our EcoArt Nodes have been scientifically identified by our GIS study of all five watersheds in South Florida, completed for us by Dartmouth College’s department of geography undergraduate students, Spring, 2011. EcoArt South Florida’s comprehensive community education program and artist apprenticeship is specifically designed to engage key communities in best ways to establish and support strong EcoArt practices in their areas. We will work with the communities identified as EcoArt Nodes to field this program which will be the basis for ongoing development and support of EcoArt practice. 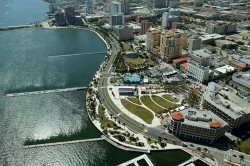 In addition to establishment of targeted EcoArt Nodes, starting in early 2012, EcoArt South Florida Board and Advisory Committee members will begin to meet where they live, with county and city officials. Follow the link to learn more about how EcoArt has been integrated into Boynton’s many new green initiatives, please contact the administrator of Art in Public Places Debby Coles-Dobay. DCA: What does EcoArt do for South Florida? 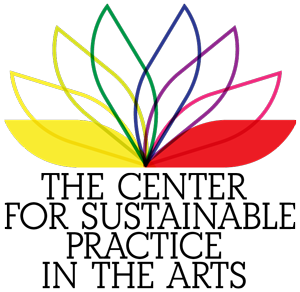 EcoArt South Florida: EcoArt practice has many identities. All contribute to the community. Most involve the community at every level of the planning, design and creation of EcoArt projects. First, the integration of Public EcoArt at the design stage of urban buildings and neighborhoods that will be seeking LEED or other green certification. EcoArt South Florida is working with the South Florida chapter of the US Green Building Council on this. Secondly, engaging EcoArt with greening the public schoolyard. EcoArt South Florida has been reaching out to public school districts, teachers and administrators through the annual LEARN GREEN conferences; and we are in the process of working with a math and science middle school to develop what will probably be the first comprehensive outdoor classroom in South Florida. And finally, modeling a new kind of urban streetscape featuring a variety of Florida native canopy trees (instead of the “monoculture” approach currently used) and understory vegetation that encourages the return of pollinators and birds. EcoArt South Florida is involved with a consortium of organizations developing a pilot of this kind of streetscape. Our partners include the grass roots West Palm Beach organization Northwood GREENlife that is taking the lead, the Palm Beach chapter of the Florida Native Plant Society, 1000 Friends of Florida and the Center for Creative Education. In addition to the creation of a multiple-species Florida native urban forest pilot streetscape that can be replicated widely, the project will also incorporate arts: sculpture, ceramics, video, storytelling, performance and a community celebratory procession/parade once the planting has been completed. EcoArt South Florida believes EcoArt will not prosper in our region unless public officials, both elected and career, and our colleagues in the building, development and planning professions are given incentives to do so. It is for this reason that we will be focusing heavily over the next year to two years on insertion of EcoArt within city and county green ordinances as has been done in Boynton Beach. DCA: What does the future of EcoArt hold for Florida? EcoArt South Florida: We believe Florida can become one of the key centers for EcoArt practice. EcoArt South Florida is dedicated to making this happen. And this is as it should be. As we point out on our website, engagement of art and culture with environmental issues is still not widely done anywhere, not only in Florida. This is a shame, because, as those of us involved in the arts professions know well, art has the potential to inspire, educate and engage in so many ways. This inspiration and engagement will be necessary if we are to address successfully the many serious implications of climate change. And we have very little time to do this. Art is a form of knowledge, just as important as science. Unfortunately art and artists have not been adequately engaged with science in the struggle to bring our valuable ecologies back to health. Now is the time to bring EcoArt to the task. DCA: Why do you believe arts and culture are important in the lives of Floridians and visitors to our state? EcoArt South Florida: Art creates culture and has for as long as human being have inhabited the earth. The best time to have begun to bring art to the task of healing our fragile ecologies was many decades ago. The second best time is now. Florida needs us. The planet needs us. Let’s get to work applying artistic imagination and creativity in tandem with scientific advances to the challenges that face us. There is a growing awareness that culture and the arts can help dealing with global challenges by means of alternative, creative approaches to pressing problems. Therefore society as well as governmental stakeholders start to see culture as an important value for sustainable development, environment, education, health and social cohesion. After a four years program investigating the role of arts and culture in society, the Asian Europe Foundation (ASEF) published and presented the Connect2Culture dossier: Arts. Environment. Sustainability. How can Culture Make a Difference? at the ASEF-supported roundtable at the 5th World Summit on Arts and Culture in Melbourne, Australia. 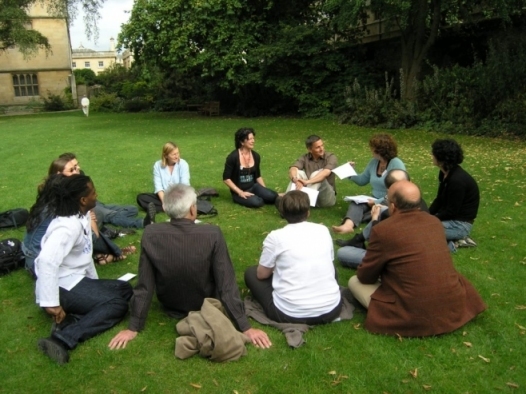 The Connect2Culture programme was initiated in order to answer the question which role culture plays in the global debate on environmental sustainability. In the course of the program, Asian as well as European experts from all fields addressed issues related to art and environmental sustainability through artistic projects, workshops and policy meetings. The program has facilitated bi-regional dialogue and collaboration on the value of culture and the arts. The resulting dossier is a summary of ASEF’s work with arts and environment in the last four years and a reflection on the issues raised by the people involved. It constitutes the reaffirmation of culture as the fourth pillar of sustainability and is expected to serve as inspiration for further discussions and cooperation, especially with the imminent United Nations Conference on Sustainable Development in Brazil in June 2012. The dossier includes discussion papers from two Connect2Culture projects: Arts, Culture and Sustainability: Visions for the Future and The Art of Sustainable Living: A Creative Approach to Global Social and Environmental Crises. Furthermore it contains a collection of visions for the future, an overview of the ASEF projects as well as a directory of cultural professionals and ASEF partners. As a result of the Connect2Culture programme a strong network of almost 100 professionals in arts and culture was established, which is committed to strengthen the voice of arts and culture. These experts share the belief that the arts and culture sector can play an active role to support the identification of, engagement with and positive adaptation to important changes in our societies. WESTAF, the Western States Arts Federation, is pleased to announce the release of transcriptions from two sessions of the most recent WESTAF cultural policy symposium, Engaging the Now: Arguments, Research, and New Environments for the Arts, which was held October 15-17, 2009, in Aspen, Colorado. 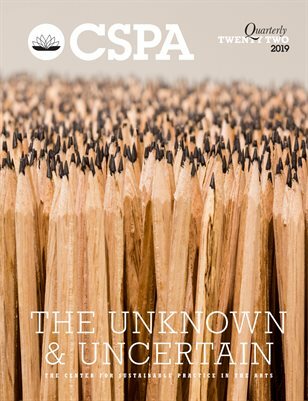 The sessions, titled Messaging I: Constructing the Argument, and Messaging II: Arts and Culture Redefined, are now available online at:http://www.westaf.org/publications.php. The sessions include presentations and discussion about argumentation theory as it relates to the arts, considerations of ways to construct public-sector-focused messaging about the arts, and strategies for making the case for public art funding. Speakers include experts in the fields of communication theory, public policy, advocacy, messaging, economics, and popular culture. A previous release from this symposium, a podcast of Steven Tepper’s presentation during the Where Are the Young People (If They’re Not at the Symphony)? Shifting Gears in a New Era of Audience Participation and Engagement session, is also available. In the presentation, Tepper shares his perspective on the participation of young people in the arts and new patterns of arts participation by the public. His remarks are available in .MP3 audio format at http://www.westaf.org/tepper.mp3. Complete electronic and printed proceedings will be published and available this summer. Additional excerpts will be released as they are prepared. To receive notification of the availability of future proceedings, please email Erin Bassity, WESTAF’s director of marketing and communications, at erin.bassity@westaf.org. About WESTAF: WESTAF’s mission is to strengthen the financial, organizational, and policy infrastructure of the arts in the West. Utilizing technology, advocacy, grantmaking and other services, we encourage the creative development and preservation of the arts regionally and through a national network of customers and alliances. Based in Denver, Colorado, WESTAF is supported by the National Endowment for the Arts; the state arts agencies of Alaska, Arizona, California, Colorado, Hawaii, Idaho, Montana, Nevada, New Mexico, Oregon, Utah, Washington, and Wyoming; private and corporate foundations; and individuals.